Mr. McLaughlin has focused his practice on the representation of individuals who have been seriously injured in accidents or because of substandard medical care. 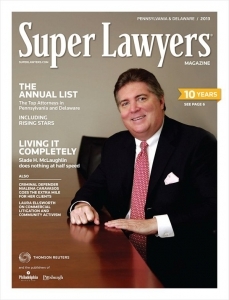 Consistently honored as one of Pennsylvania’s “Super Lawyers” in Philadelphia Magazine’s “Super Lawyers” annual editions. Slade points with pride to the $16,250,000.00 settlement he and his partner, Paul Lauricella, secured in 2009 on behalf of a landfill worker who was run over by a bulldozer. 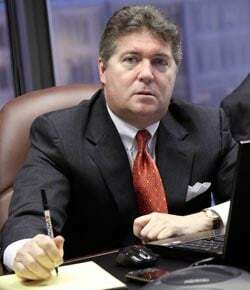 Slade McLaughlin is a Founding Shareholder and CEO of the Philadelphia law firm, McLaughlin & Lauricella. Mr. McLaughlin attended Ursinus College,graduating with a B.A. degree in 1979, and thereafter attended the Villanova University School of Law, graduating in the top 15% of his class with a J.D. degree in 1982. In June, 2004, Mr. McLaughlin successfully completed Harvard Law School’s Mediation Training Program for Lawyers. Mr. McLaughlin was admitted to practice law in Pennsylvania in 1982, in New Jersey in 1983, in the District of Columbia in 1985, and in New York in 1988. For the first ten years of his practice, Mr. McLaughlin worked as an attorney for one of Philadelphia’s larger medical malpractice defense firms representing physicians, dentists, hospitals, and other healthcare providers in professional liability claims. Since 1992, Mr. McLaughlin has focused his practice on the representation of individuals who have been seriously injured by accidents, sexual molestation, or substandard medical care. Mr. McLaughlin worked at The Beasley Firm in Philadelphia for 17 years, having trained under, and become partners with, the legendary trial lawyer, Jim Beasley, Sr. Following Beasley’s death, Mr. McLaughlin and Paul A. Lauricella formed McLaughlin & Lauricella. In February, 2003, Mr. McLaughlin was trial counsel in the first World Trade Center lawsuit claiming that the Republic of Iraq and Saddam Hussein conspired with Osama bin Laden and al Qaeda in the September 11, 2001 terror attacks on The World Trade Center. That lawsuit resulted in a $104 million judgment. 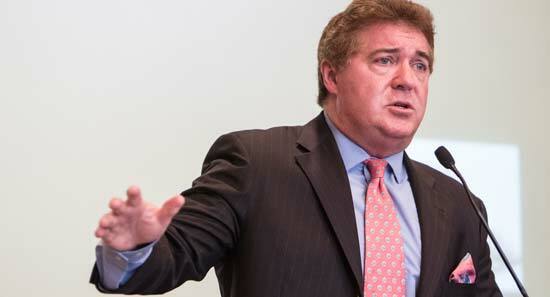 Mr. McLaughlin is a member of the National Crime Victim Bar Association, and currently represents Victim No. 1 from the Grand Jury Presentment in the Penn State/Jerry Sandusky sexual abuse matter. 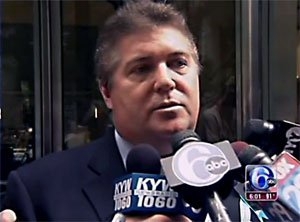 Mr. McLaughlin has worked in tandem with the Philadelphia District Attorney’s Office in civil representation of victims of sexual abuse by priests and teachers of the Catholic Archdiocese of Philadelphia (See 2003 and 2011 Grand Jury Reports). A copy of the Complaint in the case of “Billy Doe” vs. The Archdiocese of Philadelphia, et al. is attached. 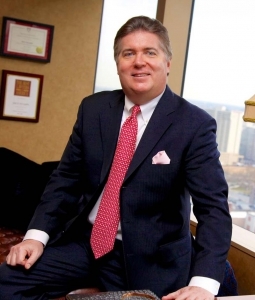 Slade McLaughlin Ranks as One of The Top 100 Pennsylvania Medical Malpractice & Personal Injury Attorneys. 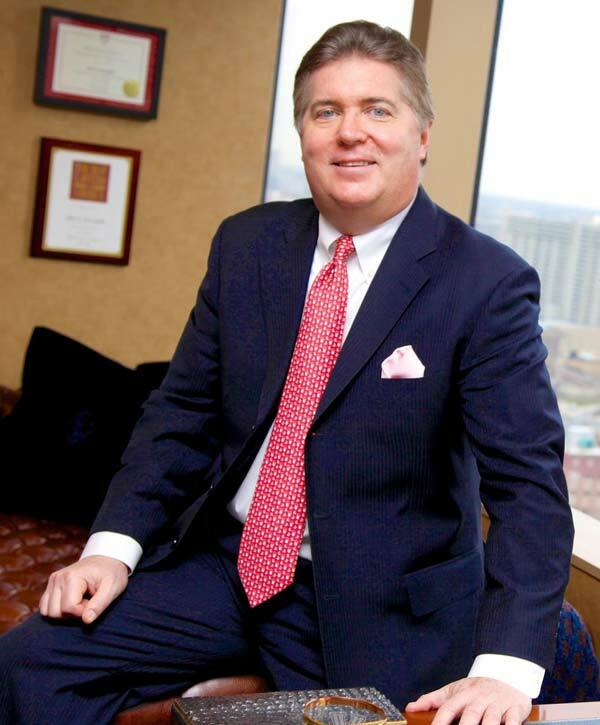 Slade McLaughlin has been listed in each edition of The Best Lawyers in America since 2003, has been honored as a repeat “Top 10” Pennsylvania “Super Lawyer” in Philadelphia Magazine’s “Super Lawyers” Supplement, is Board Certified as a Civil Trial Attorney by the National Board of Trial Advocacy, is a Diplomate of the American Board of Professional Liability Attorneys (with special competence in medical professional liability), and has been admitted to membership by the American Board of Trial Advocates. Mr. McLaughlin was recently recognized as “Professional of the Year for Personal Injury Law” by Strathmore’s Who’s Who for Outstanding Professionals. In addition to being listed in the Bar Register of Preeminent Lawyers, Mr. McLaughlin is a member of the Million Dollar Advocates Forum, is a member of The American College of Legal Medicine, is an invited member of The College of Master Advocates and Barristers, is a Fellow of the Litigation Counsel of America, and has earned an A-V rating by Martindale-Hubbell, which is the highest rating available for both professional competence and ethical integrity. 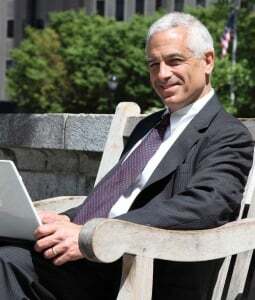 He has co-authored several publications including a Medico-Legal Chapter in two editions of Anesthesia for Ambulatory Surgery (a text for practicing anesthesiologists) and two separate supplements for the Handbook of Civil Practice in the State and Federal Courts of Pennsylvania. Mr. McLaughlin was appointed by the Pennsylvania Association For Justice to membership on the Medical Malpractice Legislative Committee and received a similar appointment to the Oversight Committee for PAJ’s statewide Medical Malpractice List Serv. Mr. McLaughlin is a member of the Mensa Society, but also enjoys non-intellectual pursuits, such as riding his Harley Davidson motorcycle and other adventurous activities such as running the New York Marathon, skydiving, scuba diving, bungee cord jumping, “Running the Bulls” in Pamplona, Spain, and climbing to Mount Everest’s Base Camp. See Slade McLaughlin’s profile on Justia and see Slade McLaughlin’s profile on LinkedIn. 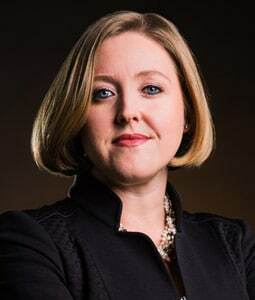 Contact Slade McLaughlin today for a free, no obligation legal consultation to see if you have a medical malpractice, personal injury / accident, sexual abuse or hazing abuse case.